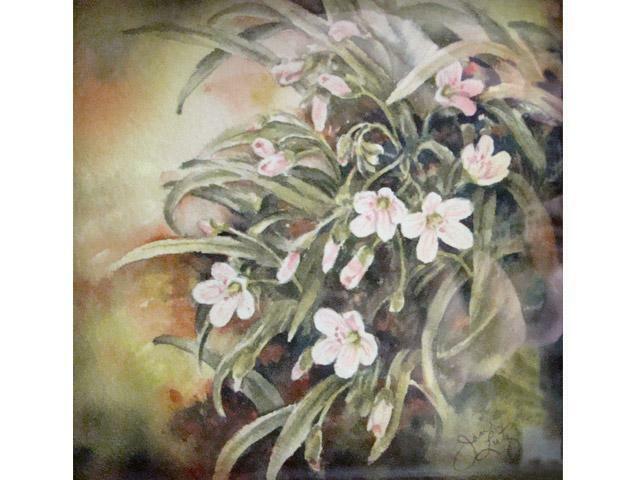 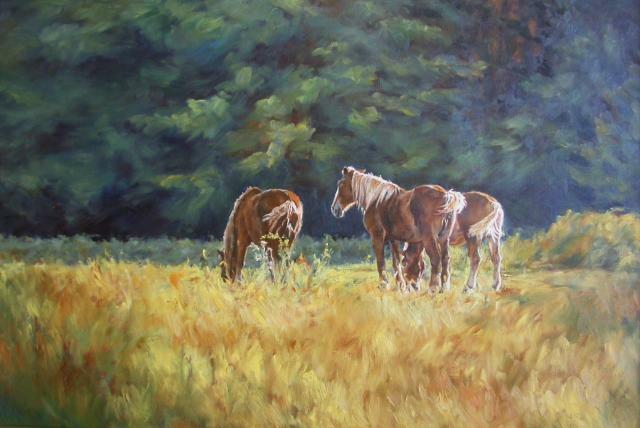 Jan has worked in oil, pastels, colored pencil, collage, and watercolor, her current passion. 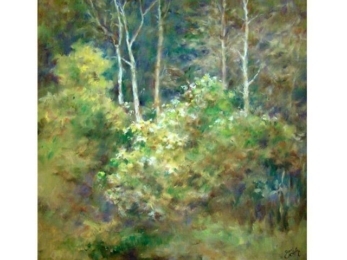 Nature close-ups and people are recurring themes in her work. 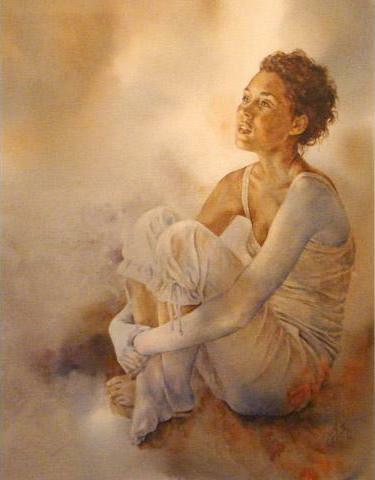 Although her work is generally representational, the compositions often start as abstract paintings or collages. 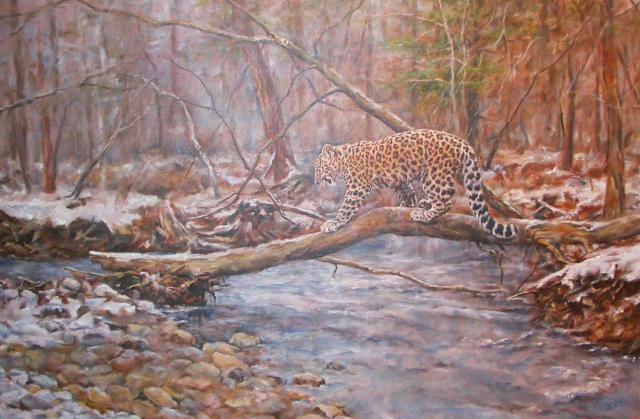 Crossing the Creek, Oil, 36x24"